Happy Saturday! 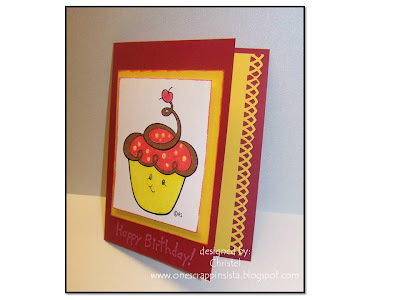 It's time again for another challenge from Scrap, Stamp, and Doodle Saturdays. This week you are challenged to create something that does not have flowers anywhere on it. 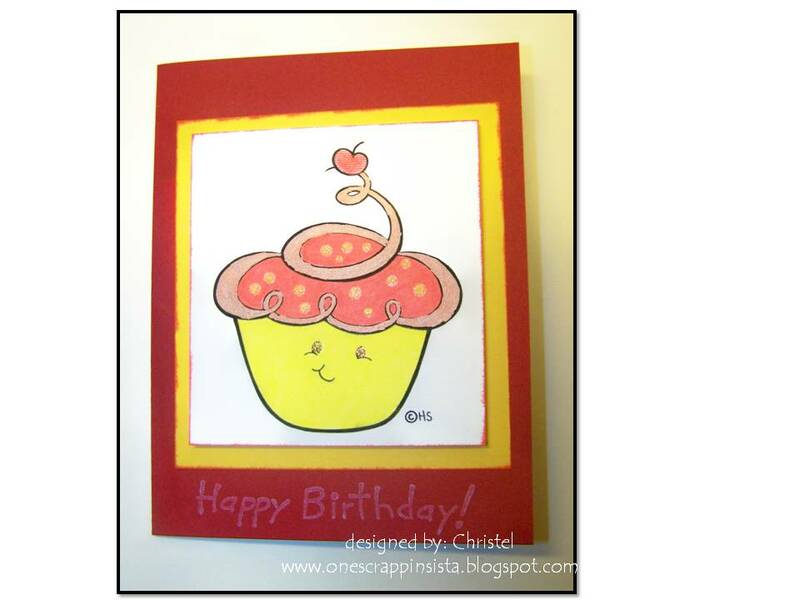 I created this simple birthday card using a digi from 2cuterubberstamps. I left the inside blank so someone could write whatever they wish and inked around the edges of the layers for more contrast. Be sure to hop on over to SSDS and join in this week's challenge. It's easy and fun! While you are there checking out the dets, be sure to check out my DT sistas. They have some amazing work for your inspiration. 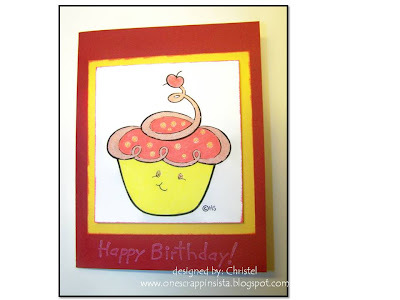 I truly hope you enjoyed my card creation.